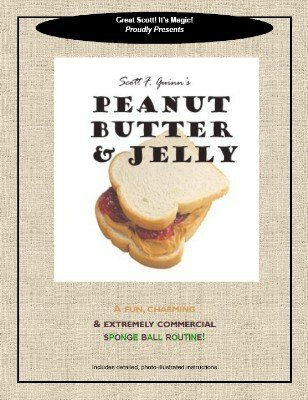 With just three sponge balls, a purse frame and a "special something" (readily available from virtually any magic dealer), Scott has created a routine that is fun, charming, and extremely commercial. It has proven to be mystifying and tremendously entertaining for audiences of all ages, and has garnered praise from laymen and big name magicians alike. Many magicians have said that this is the best sponge ball routine EVER! Thoroughly explained along with photo-illustrations, this routine teaches a couple of utility moves you might not have come across before. But it is the construction and presentation of the routine that really makes it something special. Without a doubt, this is Scott's favorite and most-performed routine. Order it now and you'll see why! 1st edition 2007; 11 pages.